He is thought to have killed 41 people at the Al Noor mosque before driving about 3 miles to another mosque where he killed seven more people. He has been remanded in custody until April 5 and police have said more charges are likely to follow. He says as he was running, "I was telling the guy, "come I'm here, you know, come". When he swore at me, I knew that he was not the good guy", Mr Aziz said in an interview. "He sat in his vehicle and with the shotgun in my hands, I threw it through his window like an arrow". "He gets into his auto and I just got the gun and threw it on his window like an arrow and blasted his window, " he said. "I stopped my prayer, I peeked through the window, and I saw the person with a machine gun, heavily dressed". The uncle, Terry Fitzgerald, said: "We say sorry, for the families over there, for the dead and the injured, yeah we just, can't think nothing else, just want to go home and hide". "At just that moment, there was one young guy who usually takes care of the mosque and helps with parking and other stuff, so (the man) saw an opportunity and he pounced over to him and grabbed his gun". 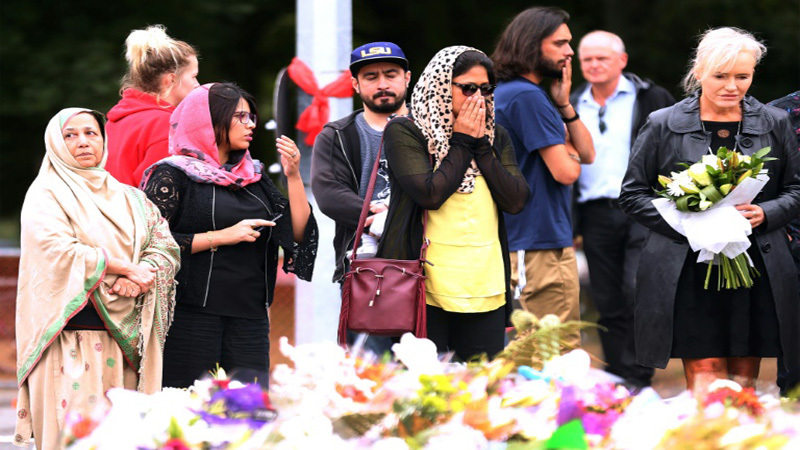 Despite having tightened the rules in the 1990s after the last mass shooting, New Zealand has relatively permissive gun laws, with licences granted to almost every applicant. "I will not change my opinion about New Zealand". He lived in Sydney for nearly three decades before moving to Christchurch two-and-a-half years ago. Aziz's action terminated the killing spree. The owner of gun shop Gun City, David Tipple, said the suspected gunman had legally bought four weapons and ammunition online from it between December 2017 and March 2018, but it did not sell him the high-powered weapon used in the massacre. "A couple of centimetres lower and I would be dead", he told stuff.co.nz, saying he fled from the mosque while the gunman's attention was elsewhere. He had two homemade bombs in the vehicle. "Otherwise, if he managed to come into the mosque, then we would all probably be gone". "He shot one brother coming towards the mosque; he shot him from the head". Australia introduced some of the world's toughest gun laws after its worst mass killing, the 1996 Port Arthur massacre in which a lone gunman killed 35 people using a semi-automatic AR-15 - the same weapon used in the Christchurch massacre. Some shots hit the mosque windows and walls. "They have prevented further deaths and risked their own lives to do so", he added. "It's just comprehending what is the incomprehensible".